This entry was posted in Uncategorized on January 17, 2014 by bobholmes. This entry was posted in Uncategorized on January 16, 2014 by bobholmes. Doug and Lori from San Angelo had a trip for the morning and cancelled because if winds. Tried again at noon with a cooler full of fish. Lots of great stories and lots of catching. This entry was posted in Uncategorized on October 19, 2013 by bobholmes. With the winter coming and the cooler weather here. Expect the bit to be the best ever. 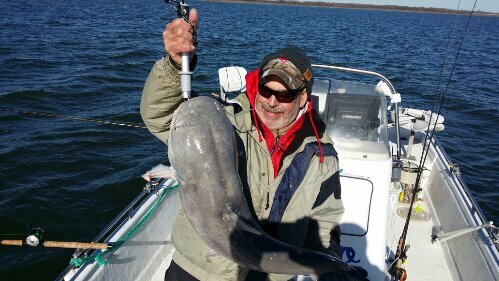 With hybrids being caught on the killer shad, the sandbass loading up for the winter and the once and a lifetime trophy catfish ready to get hooked. Let’s set a date and go fishing. 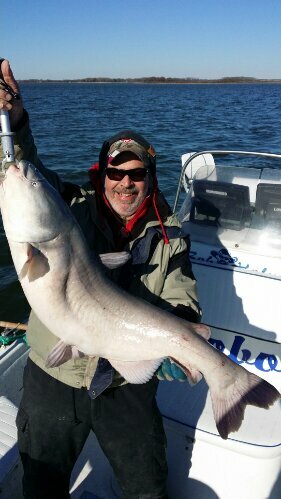 This entry was posted in Uncategorized and tagged richland chambers lake, trophy catfish on October 16, 2013 by bobholmes.